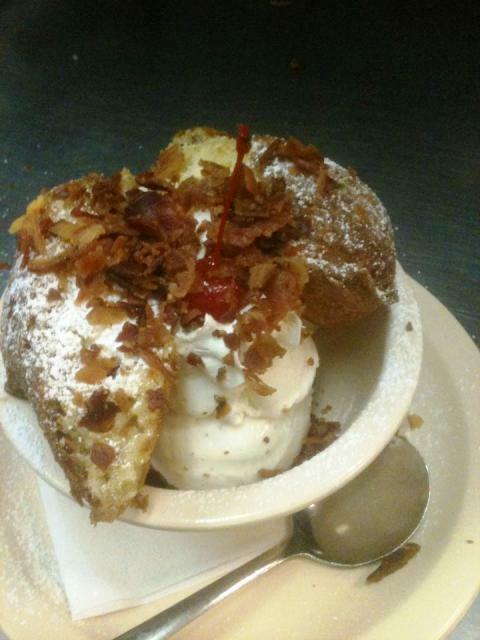 What do Fried Oreos with Bacon and the Cleveland Browns Have in Common? 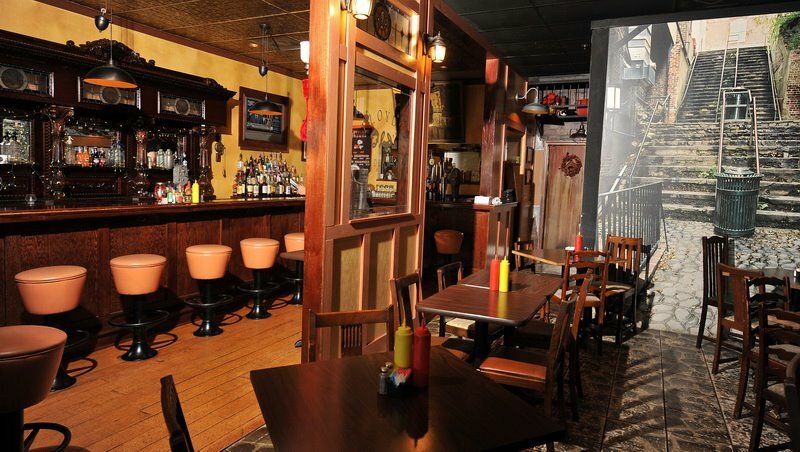 Some might say that they are both bad for your health; however another common denominator is the Street Meet American Tavern. They are the home of Hilton Head Island’s Cleveland Brown Backers and many Ohio State Buckeye fans, during football season the place gets packed with die hard fans! 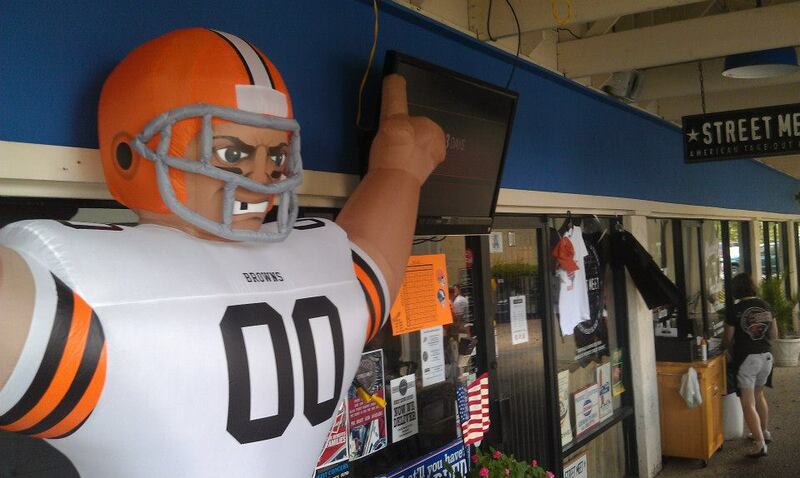 You can catch the game on one of their many televisions, including a few that they have in their outdoor seating area. This is truly a family friendly tavern, on Saturdays kids pay what they weigh all day long, with the purchase of an adult entree. Street Meet specializes in “sidewalk fare from America’s favorite street corners”, including Hoffman and Nathans hot dogs, hot pretzels, wings, burgers and my favorite, the pulled pork nachos! Two of their most popular menu items are the fried Twinkies and Oreos; they are dipped in funnel batter, fried and served with a scoop of vanilla ice cream. (they have been known to add bacon if asked nicely!) Street Meet is located, mid-island in the Port Royal Plaza, they will deliver to your vacation rental home and offer catering as well. They are also one of our preferred guest partners, offering 10% off of your food bill just for being a guest of Beach Properties! They can be reached at 843-842-2570. Put this on your to-do list and let us know what you think! Visit the Piggly Wiggly! — Surf the Web while at the Beach!